Finding a stylish knitting bag can be a difficult task. Finding a stylish knitting bag that is large enough to fit your sweater project is nearly impossible! Luckily, I have undertaken the challenge for you and now present my top 5 knitting bags for sweater knitters! Not all of the following bags are created specifically for knitters but I think they would all make great project bags nonetheless. I was looking for a few specific things as I was making this list – a spacious interior, interior pockets and of course a stylish exterior. As an additional perk each of these bags comes in a variety of colors so you can find one that suits you perfectly! 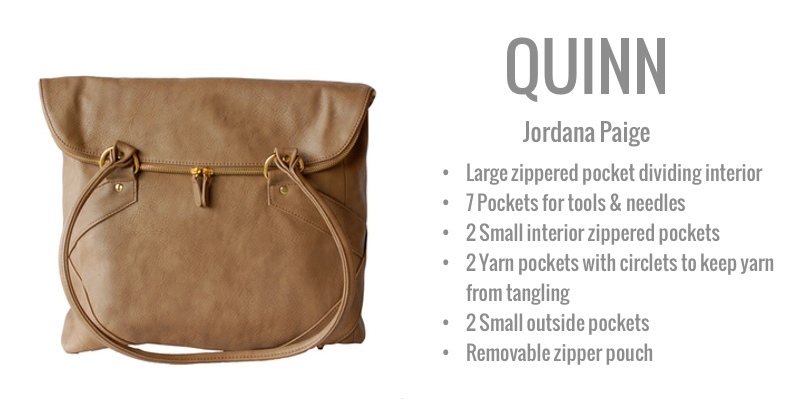 Make every outing a productive one when you carry Quinn. This boxy shoulder bag enables you to thoughtfully pack a large, bulky project, tools and daily purse items so you’re always ready for a crafting opportunity. A zippered pocket hides beneath the flap with another at the back. 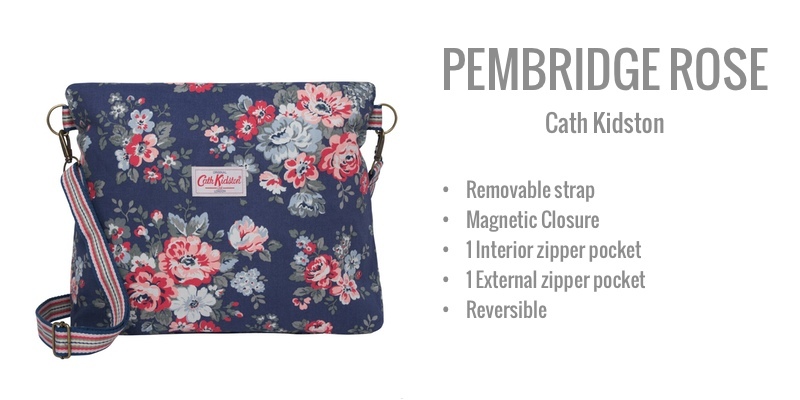 Its two-way zipper opens to reveal its careful details; a row of pockets for tools, yarn pockets with circlets to prevent yarn from tangling, a removable pouch and a zippered divider to keep your project separate from purse items. Made from vegan faux leather and adorned with gold metallic hardware. Remember when I said that all of the bags weren’t necessarily knitting bags? This lovely little shoulder bag is actually designed to be a diaper bag. All that really means to me is that it has a ton of useful little pockets inside! One outside zipper pocket makes it easy to access quick essentials. The inside zipper pocket is great for stashing your wallet or a pattern. The six internal elastic band pockets are perfect for organizing and storing your knitting essentials (especially if you happen to be doing color work). This bag includes a little zipper pouch that is removable and would be great for your tools and stitch markers. 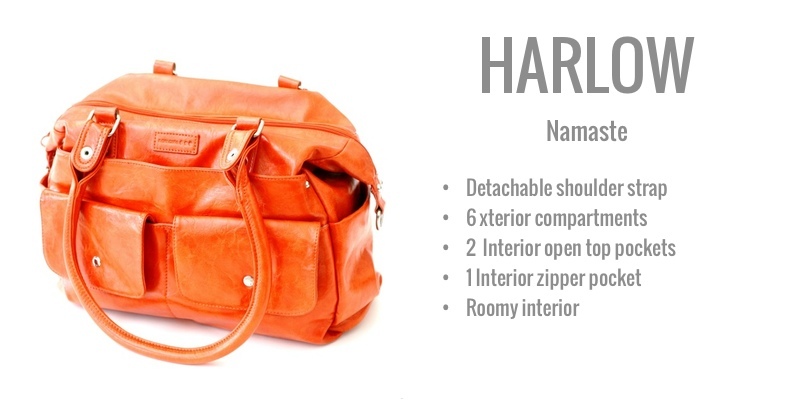 Note: since it was originally designed to be a diaper bag it also comes with a changing pad. You can either throw it away or keep it to use as a mini blocking surface for small projects. This bag is simply lovely! It has a couple pockets for all of your essentials and leaves the rest of the space for your sweater project! This bag is very, very adaptable – reversible, three handle positions, and wearable as a shoulder bag or across the body. The Harlow bag is vintage inspired and constructed of luscious vegan material. It offers ultra organization with a ton of pockets! Features include a microsuede recycled lining, loads of exterior compartments & pockets (2 drink compartments, 2 flap top pockets, 1 fiber-friendly pocket, 1 zipper pocket), a strap buddy for shoulder strap placement, and dual detachable handles for added versatility. The interior has a zippered top and features 2 open top pockets, 1 zipper pocket and plenty of space for your sweater project! 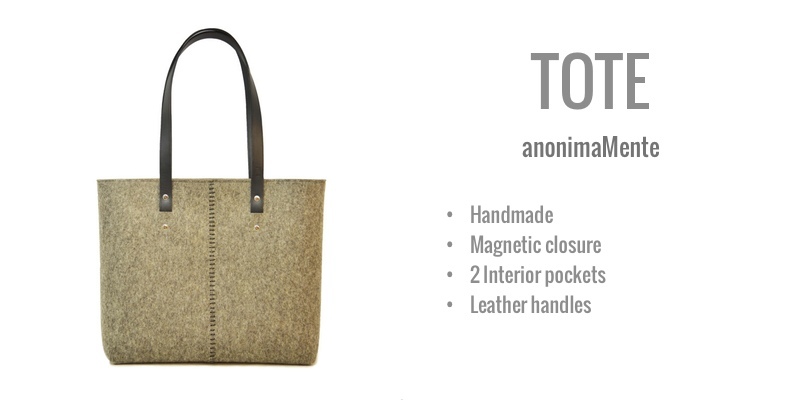 This simple felt tote is sturdy and made by hand in Italy. The woolen felt is strong, rigid but equally soft and flexible. There are two interior pockets for all of your knitting notions and personal necessities. The 100% woolen felt is water resistant (not waterproof) and dirt repellant; which means the bag has a self-functioning cleaning system. You can clean it with a brush and a damp sponge. So there you have it, my top 5 knitting bags for sweater knitters! Have you tried any of these bags? What did you think? Do you have a favorite stylish knitting bag that I missed? What is it? The easiest way to finish a sweater is to plan your project ahead of time! 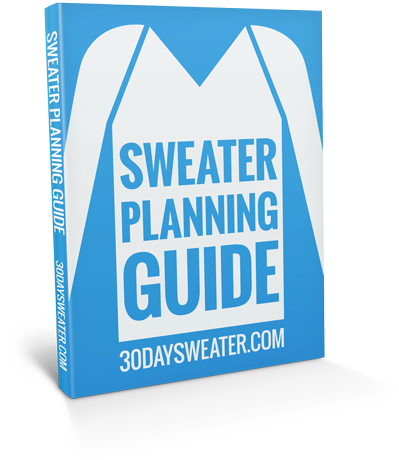 This FREE guide will unravel the secrets of sweater knitting success. 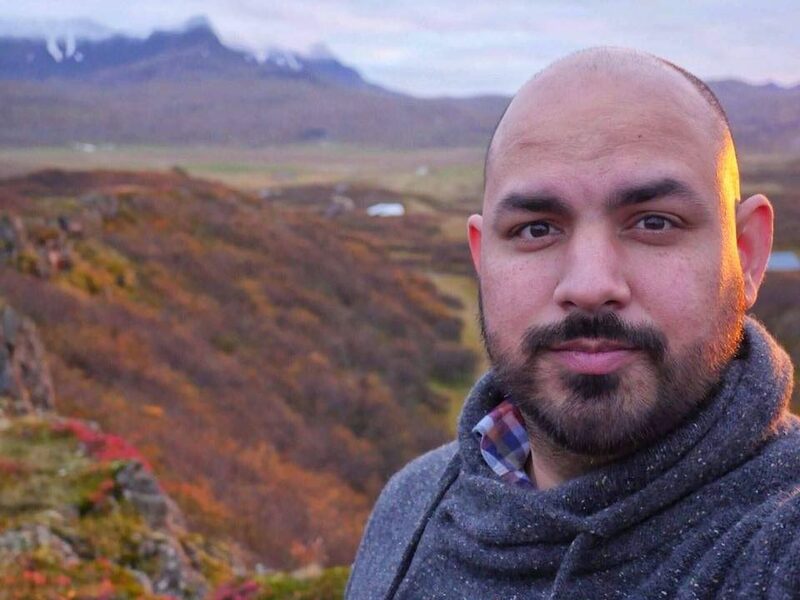 Johnny Vasquez is the Co-Creator of the 30 Day Sweater Framework. He has helped thousands of people acheive their knitting goals through his New Stitch A Day tutorials and Yarn Craft Academy Classes. When he's not knitting, he's traveling Europe with his family, helping run his co-working space, or enjoying a gin & tonic. He currently lives in Tallinn, Estonia with his wife, two daughters, and son.